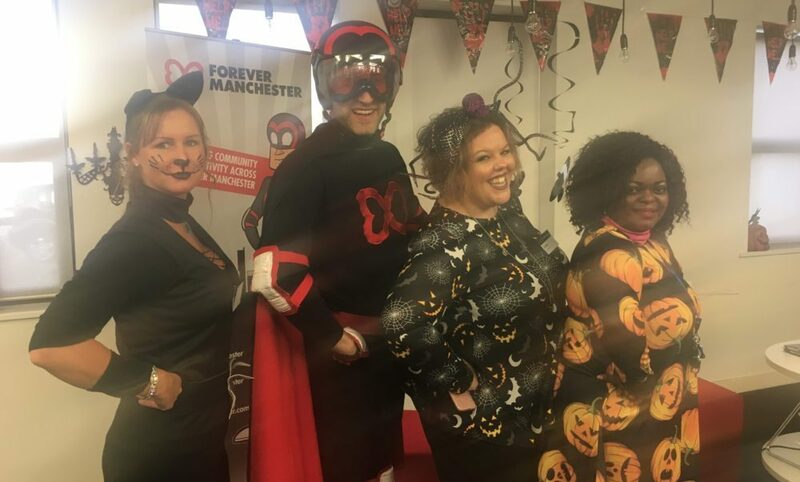 Throughout October, Forever Manchester well and truly turbocharged its fundraising by raising almost £9,000. We would like to send a massive thank you out to everyone who took part and helped raise loads more cash for Forever Manchester to fund and support community activity. There’s been all kinds of activity going on. People have dressed up, dressed down, baked a cake, cycled to London virtually, organised a Quiz Night for the office and much more. Below is a list of all the organisations that got involved! In addition to all of the above, our own Halloween Lockdown event raised £3,653. This involved locking some of Manchester’s finest in the haunted depths of Afflecks. Read more here. If all the fun and games in October has given you some inspiration why not click the button below and download our fundraising pack?